Construction of 900 bioclimatic houses in Valdespartera and the energy and environmental rehabilitation of 600 houses in the El Picarral district. 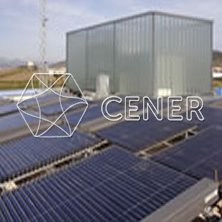 CENER will develop a methodology for the bioclimatic rehabilitation and will assess it energy-wise in 2 singular buildings. Headed by Zaragoza City Council, its European partners are Bracknell (UK) and Lyon (FR).